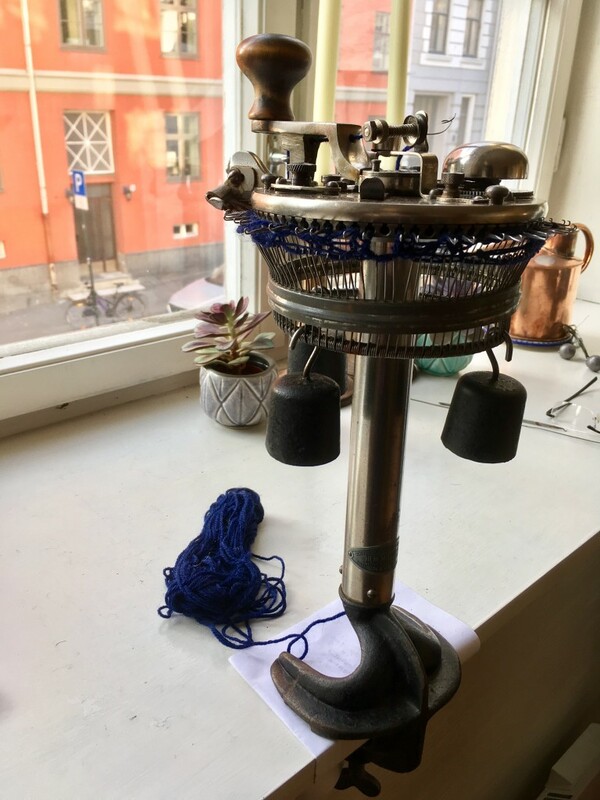 antique machine | A creative life tangled up in lovely yarn! Not me – for a starter. The other day I came across an old strange looking knitting machine in a charity shop. I had never seen anything like it – and I am an enthusiast when it comes to sock knitting machine. I went home – without the machine – and did some research. 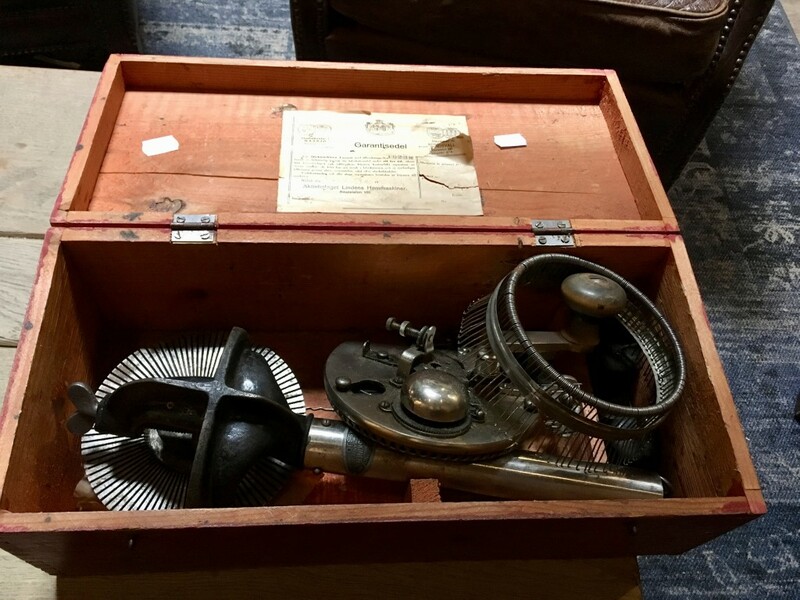 What I had seen in that box in the shop was a contraption of great intriguing beauty! 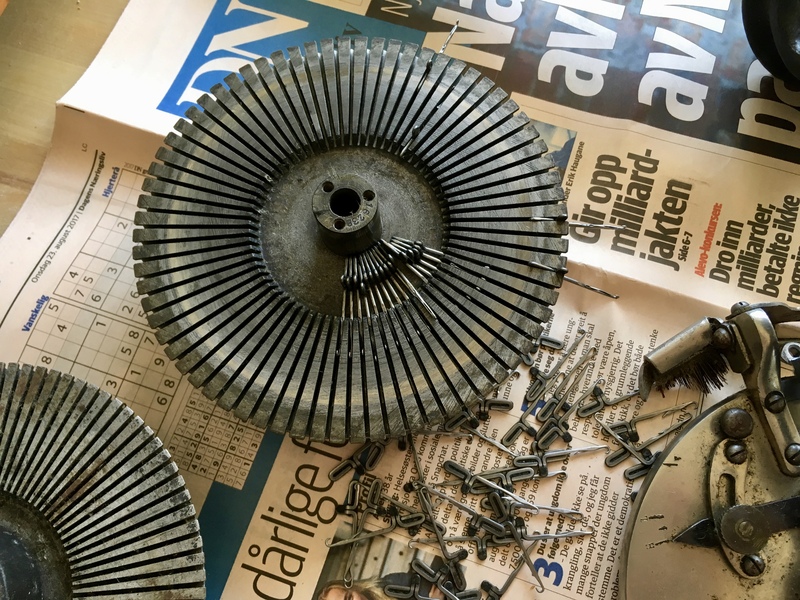 At the moment I am cleaning the machine up – a messy project. I have soaked all the parts in alcohol and rubbet off decades of grease and fibers. To my great surprise all the needles were there. 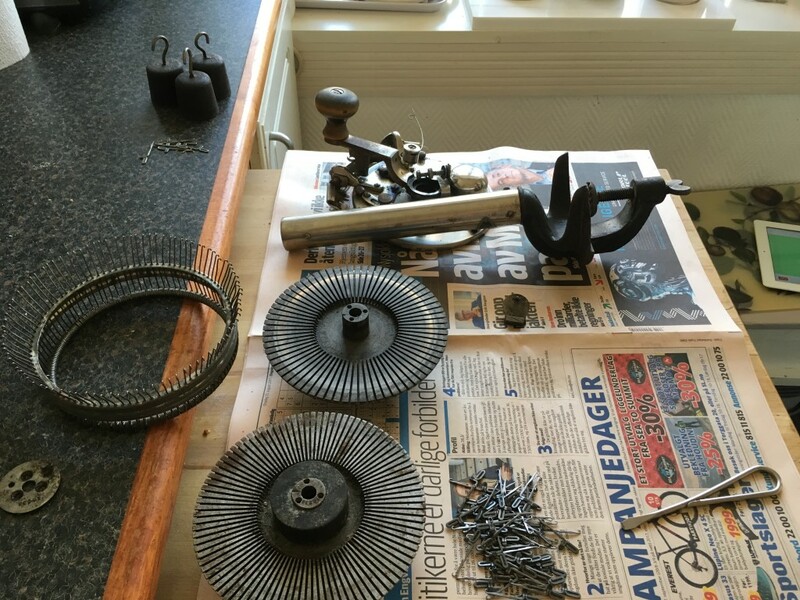 As I tok the machine apart it is not a surplice as the needles are locked inn a chamber so to speak; the needle plate and the top are screwed together so the needles can´t fall out. I will post photos as I progress from cleaning to knitting! 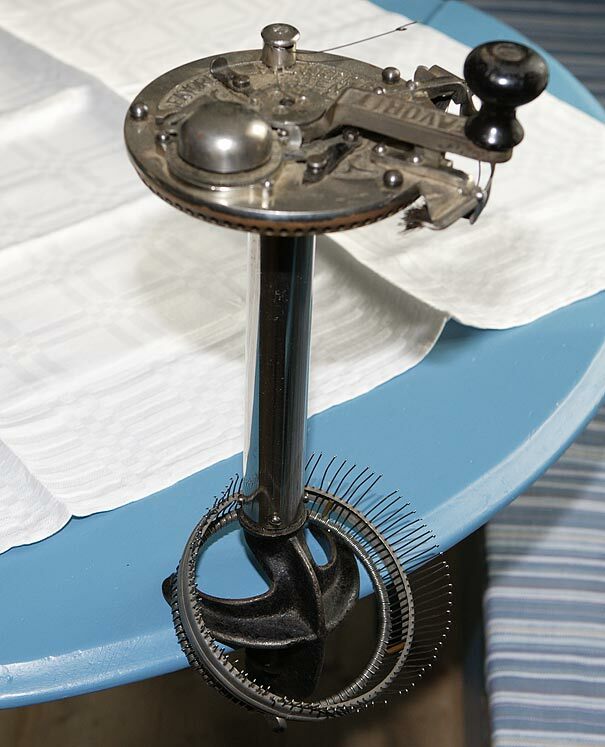 This modell is called “Favorit” and it was manufactured by Nässjö Sweden, from the late 1800’s to mid 1900’s. Mine was bought by a woman called Sanna on April 20, 1930. 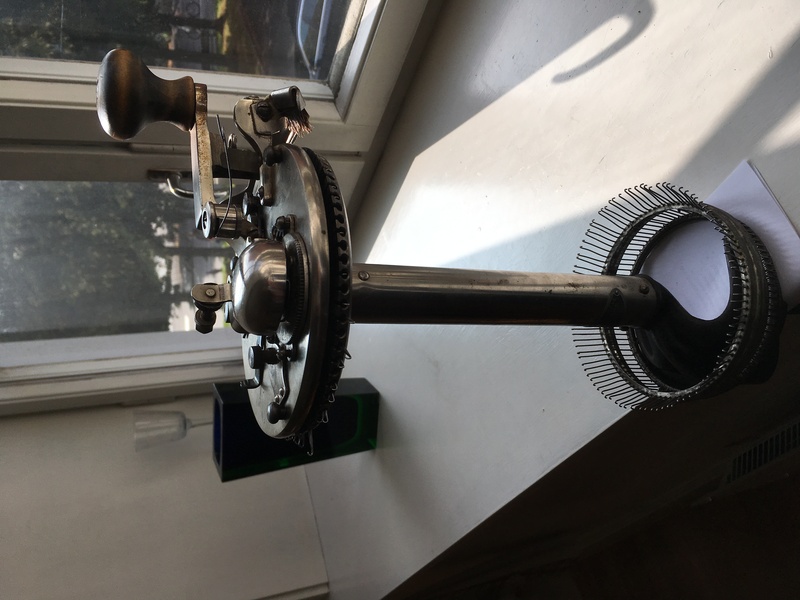 I can´t make out her surname.It comes with two different needle setting wheels. One for 96 needles and one for 72 needles. It has a row counter and a bell to indicate who target rows are knitted. It’s later in the day now and I have cleaned all parts and put the machine back together. Just had to add these pictures!